Josh was admitted to the State Bar of Montana and joined the firm in 2008. He received his undergraduate degree (B.A.) from Brigham Young University in 2005, and a J.D. with honors from the University of Nebraska-Lincoln in 2008. Josh is admitted to practice in state and federal courts. 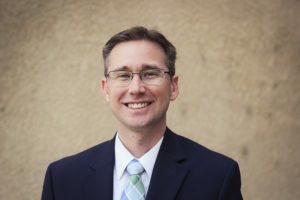 Josh’s practice emphasizes business transactions, entities, and operations, estate planning, probate and real estate transactions, and landlord-tenant matters.